Listen to Stefflon Don's latest project! Stefflon Don has released her anticipated new mixtape ‘Secure’. The UK rapper, who used Lil Kim as inspiration for the artwork, has collaborated with some of the biggest names in UK and US music. Alongside a star-studded remix of her hit single ‘Hurtin’ Me’ alongside Sean Paul, Popcaan and Sizzla, Stefflon Don’s mixtape also features Future, DJ Khaled, Fekky and more. 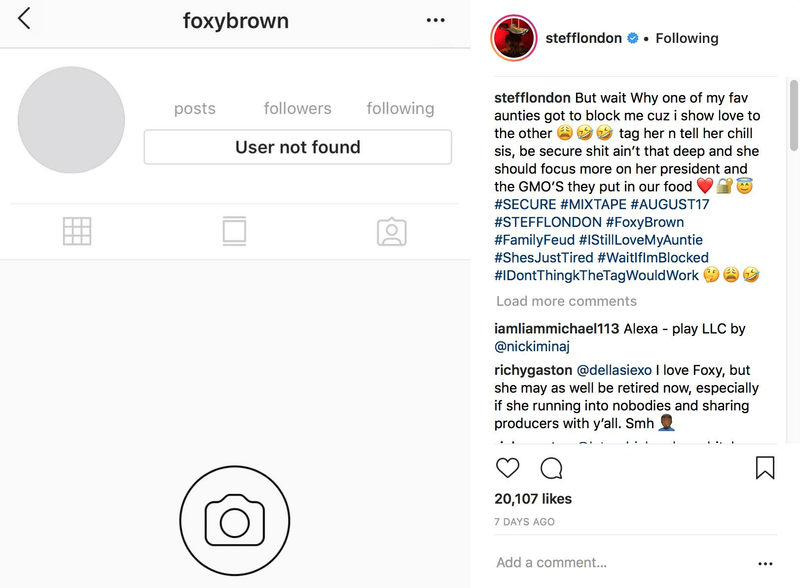 Interestingly, after Stefflon Don released her new mixtape artwork, fellow female rapper appeared to block her on Instagram. Taking to the photo-sharing app, Steff showed a screenshot of the incident. “But wait Why one of my fav aunties got to block me cuz i show love to the other,” she said. "Tag her n tell her chill sis, be secure sh*t ain’t that deep and she should focus more on her president and the GMO’S they put in our food."